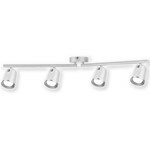 The iSpot K light is an adjustable compact four-way LED bar spotlight. It can be rotated and tilted, ceiling or wall mounted and comes fitted with an integral LED lamp plus driver. 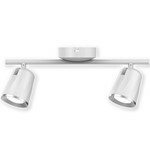 The iSpot K light is an adjustable compact Three Way LED bar spotlight. 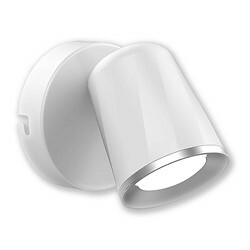 It can be rotated and tilted, ceiling or wall mounted and comes fitted with an integral LED lamp plus driver. 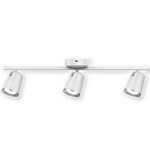 The iSpot K light is an adjustable compact four-way LED bar spotlight. It can be rotated and tilted, ceiling or wall mounted and comes fitted with an integral LED lamps plus driver.